For all of Jason Statham’s many action-oriented roles, you won’t see him engaging with material that’s too over-the-top. Crank may be his most fantastical role to date — but even while he’s being electrocuted, set on fire, making whoopee with his girlfriend in the middle of horse race or surviving an airplane free fall sans parachute, he’s still a regular guy living in a world not too unlike our own. That’s mostly a perk. As evidenced in his latest movie, Safe (which hits theaters this Friday, April 27), Statham’s reality-based choices keep the action tangible, the thrills grounded and the pain oh so painful. When he breaks a guy’s trachea in a movie like Safe, your stomach takes an extra twist. The first, because Statham just broke a guy’s trachea. The second, because there’s nothing telling us that the same thing couldn’t happen to us if we crossed the guy. Ouch. Even with the knowledge that Statham could break me in half, I sat down with the action star to talk about his latest role and if whether he’d ever depart from his realistic roots. After putting the myth that he was a male model to rest (as you’ll see in the beginning of the interview), Statham explains to me why he’d make a terrible Spider-Man. 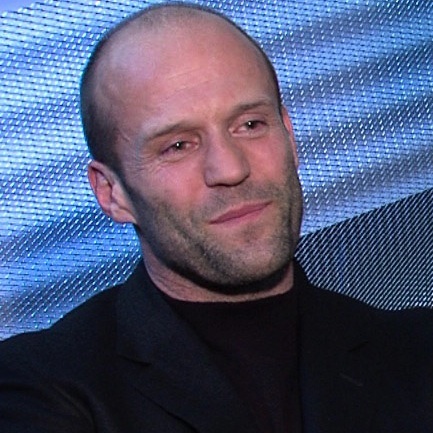 Which only sold me 100% on why Jason Statham needs to be the next Spider-Man. Watch Hollywood.com’s Exclusive TV Spot from Safe!